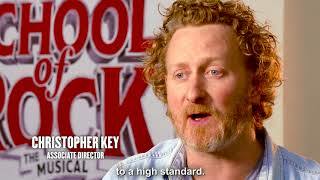 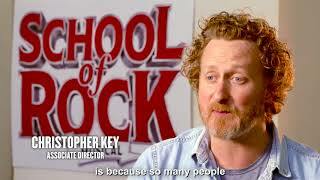 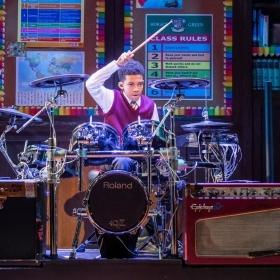 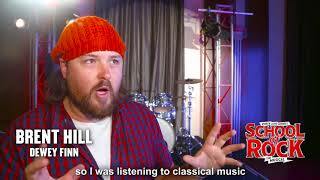 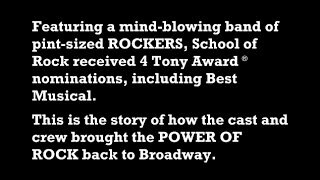 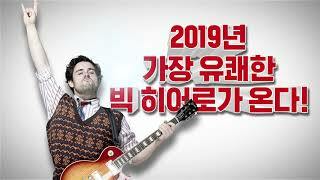 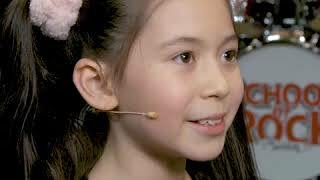 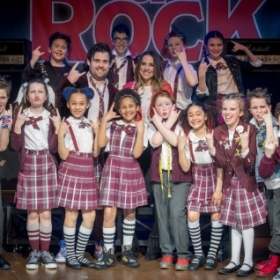 Official account for School of Rock the Musical UK. 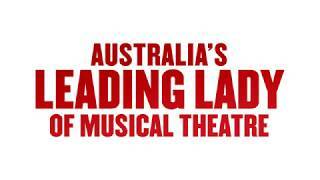 Now playing at the New London Theatre. 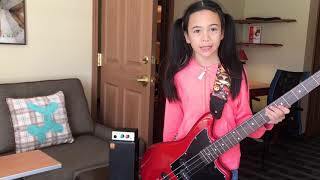 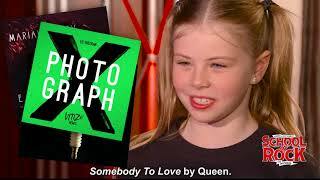 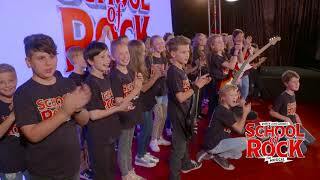 Based on the smash hit 2003 film of the same title, School of Rock features music from the movie, as well as new music written by Andrew Lloyd Webber and lyricist Glenn Slater and a book by Julian Fellowes. 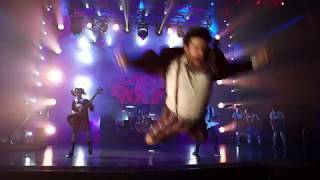 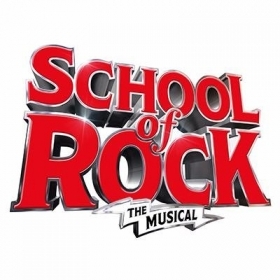 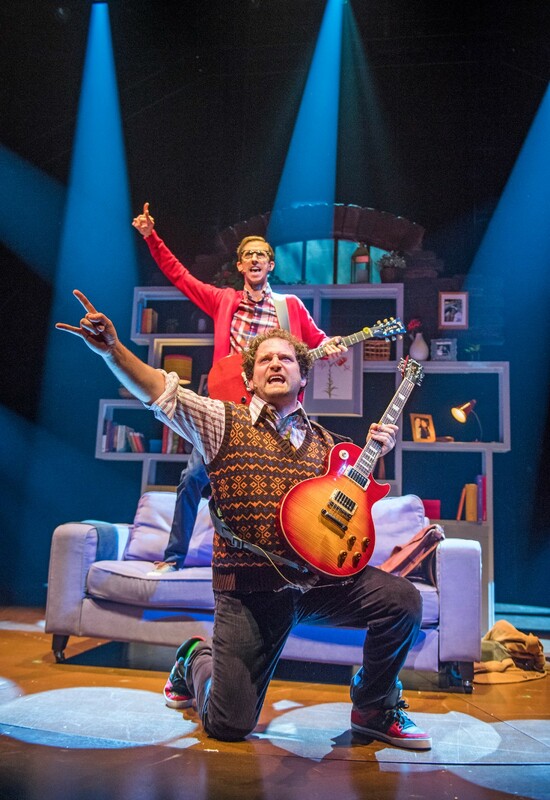 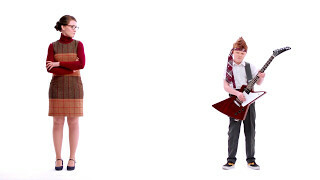 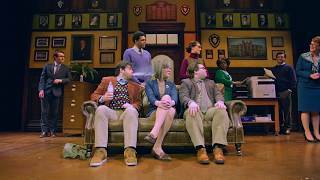 School of Rock - The Musical is directed by Laurence Connor with choreography by JoAnn M. Hunter, set and costume designs by Anna Louizos, lighting design by Natasha Katz, sound design by Mick Potter and music supervision by John Rigby. 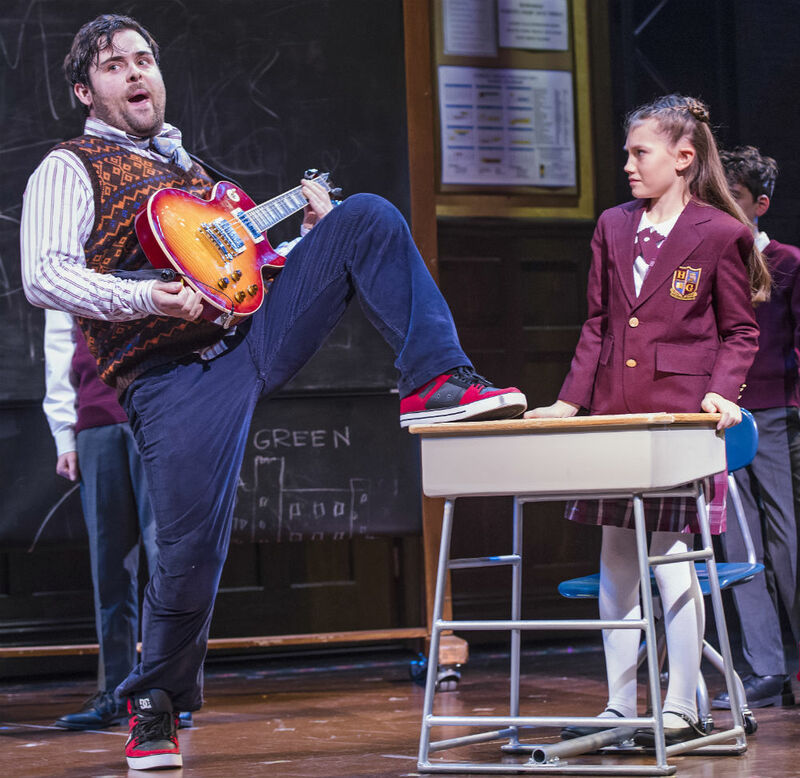 Down-on-his-luck wannabe rock star Dewey Finn poses as a substitute teacher at a prestigious prep school to make ends meet. 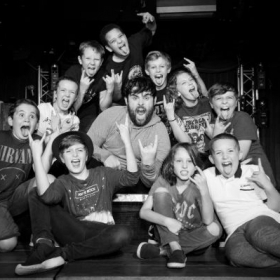 When he discovers his students’ musical talents, he enlists his fifth-graders to form a rock group and conquer the Battle of the Bands. 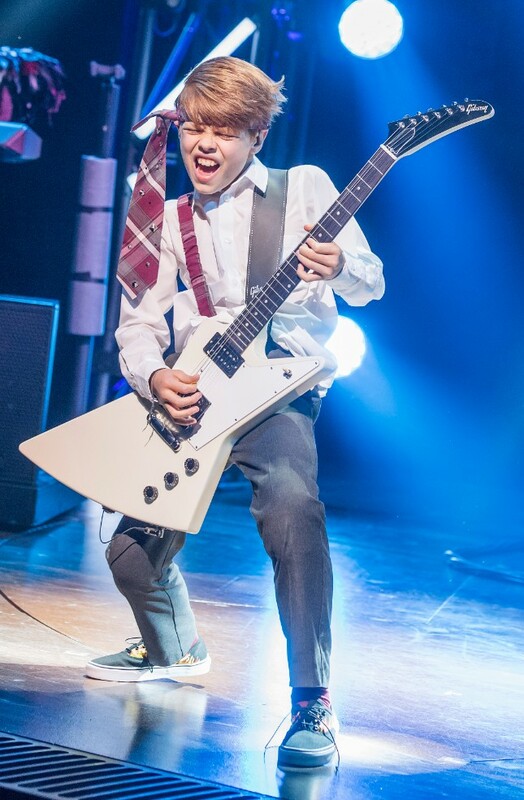 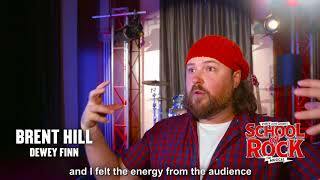 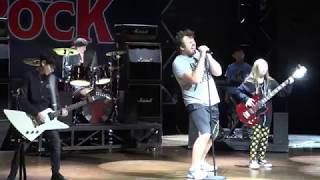 Produced by Paramount Pictures, the 2003 hit film School of Rock was directed by Richard Linklater and starred Jack Black in a career-defining performance. 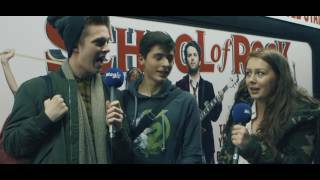 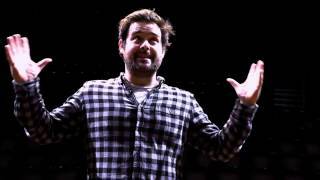 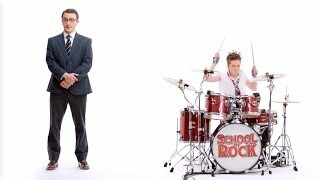 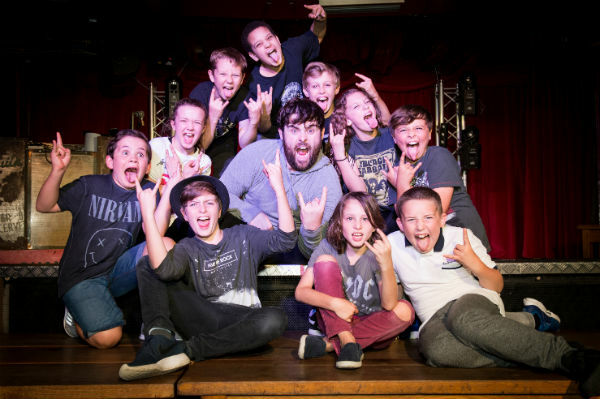 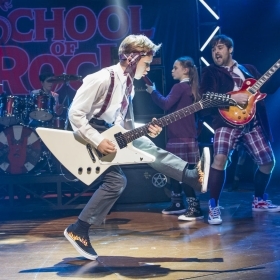 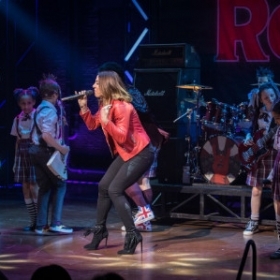 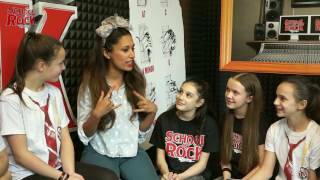 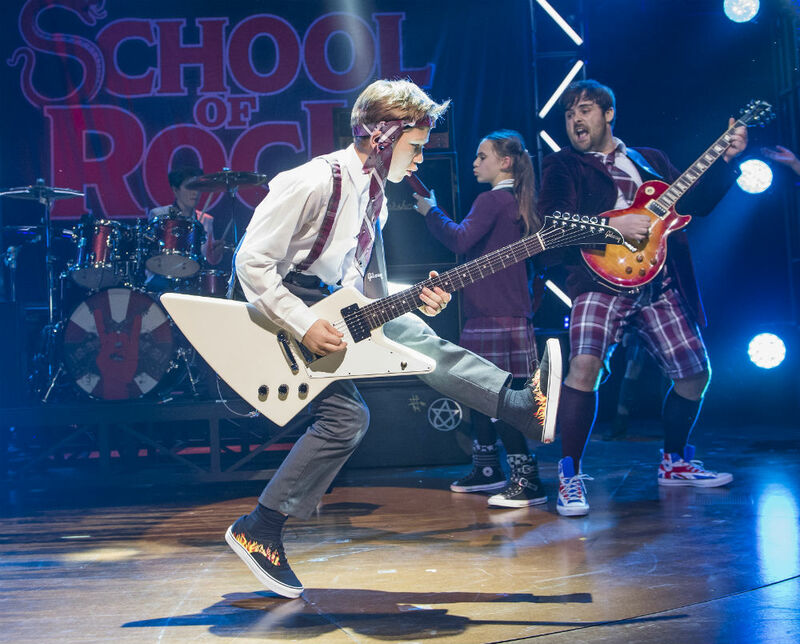 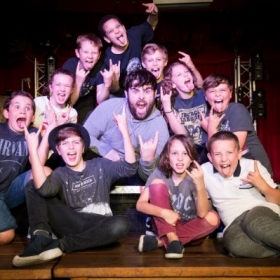 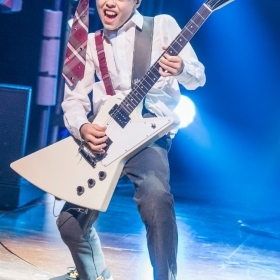 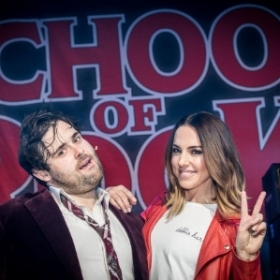 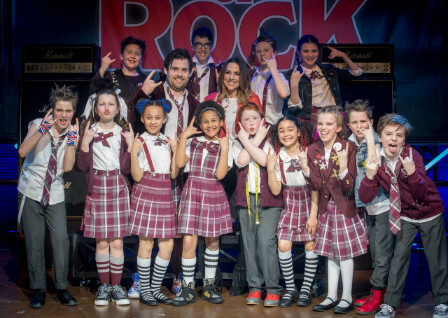 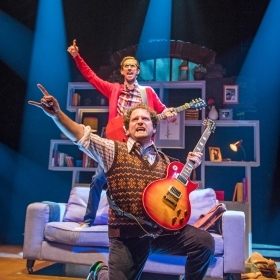 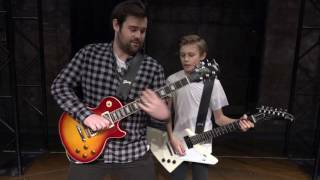 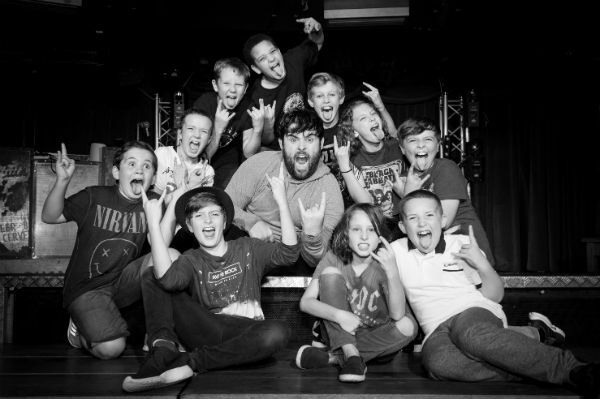 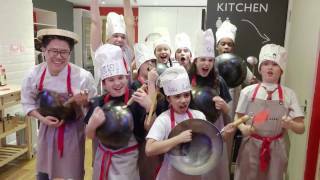 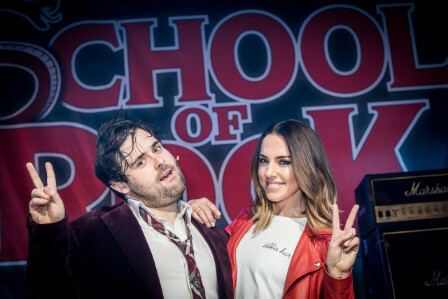 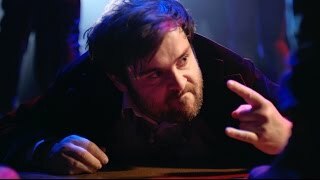 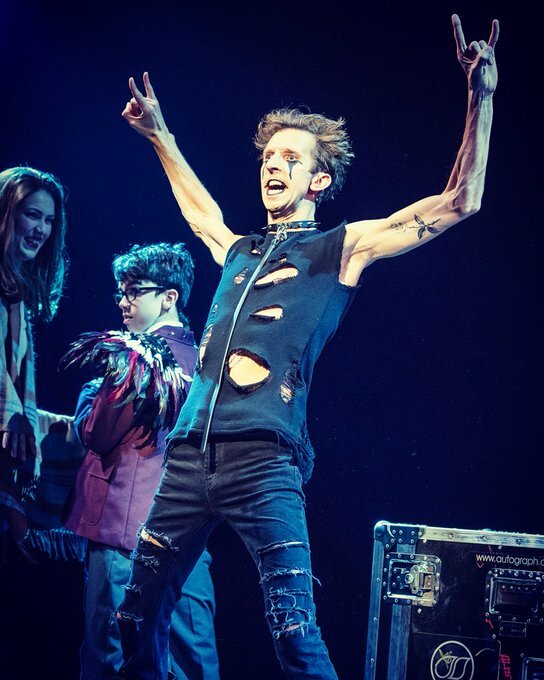 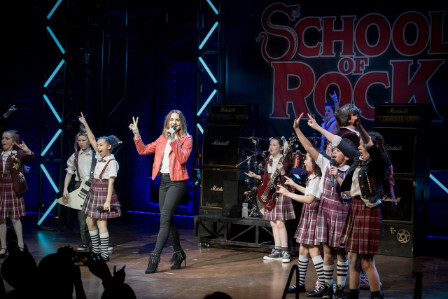 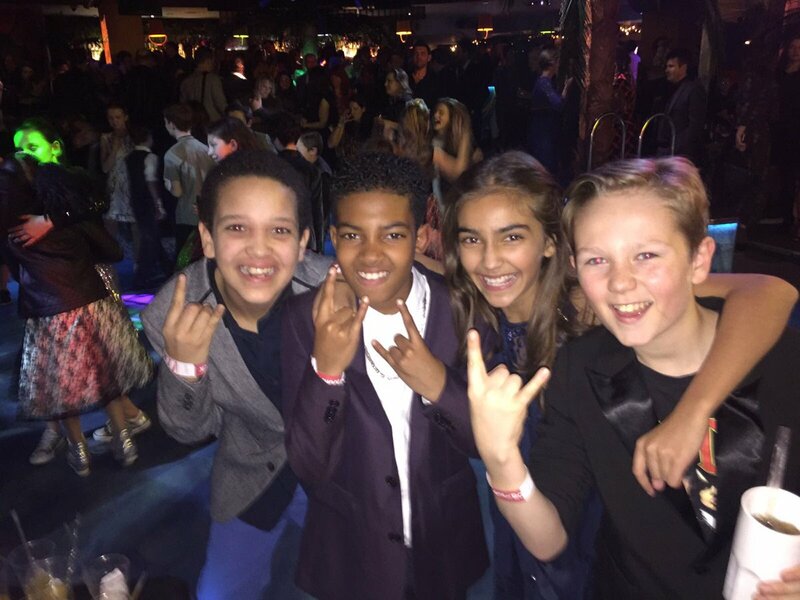 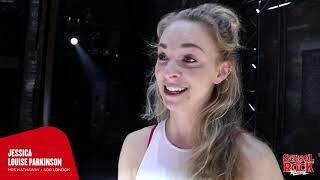 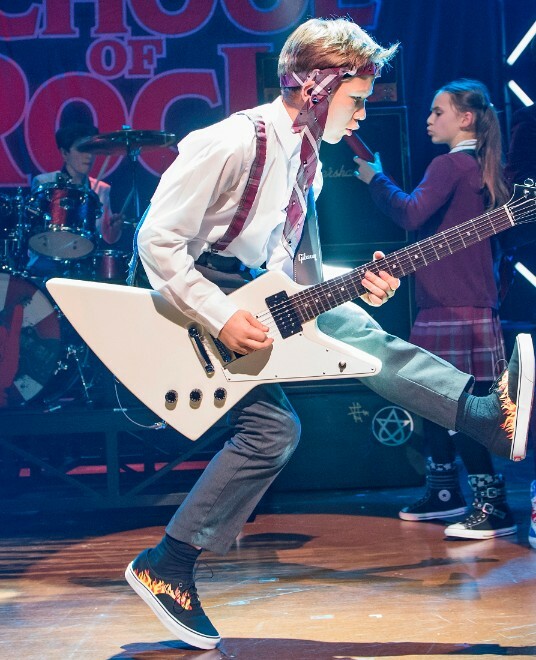 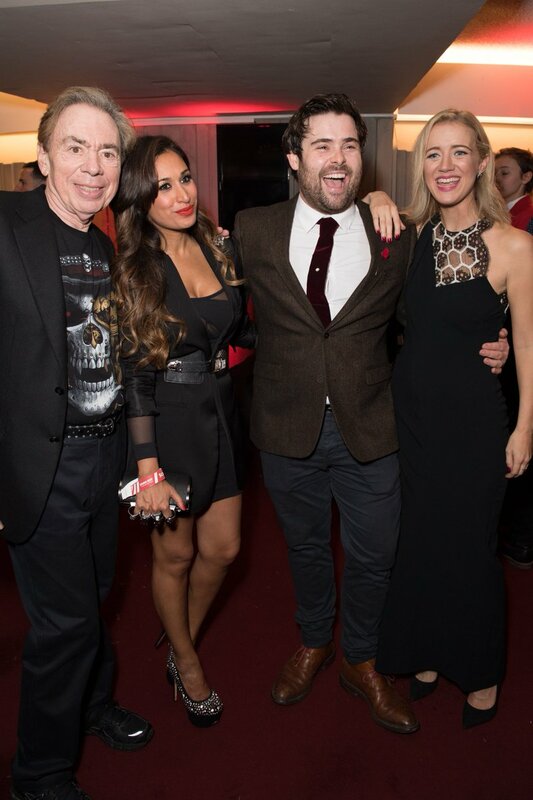 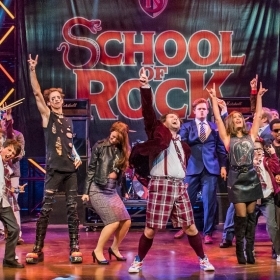 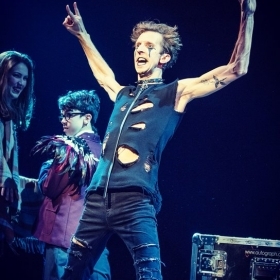 School of Rock UK Celebrates 1000 Shows! 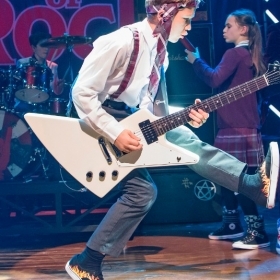 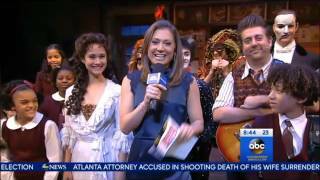 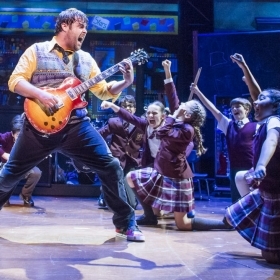 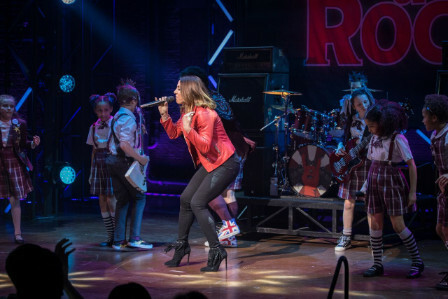 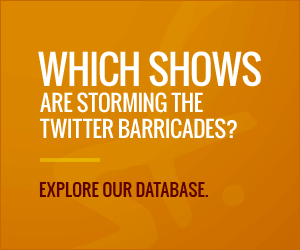 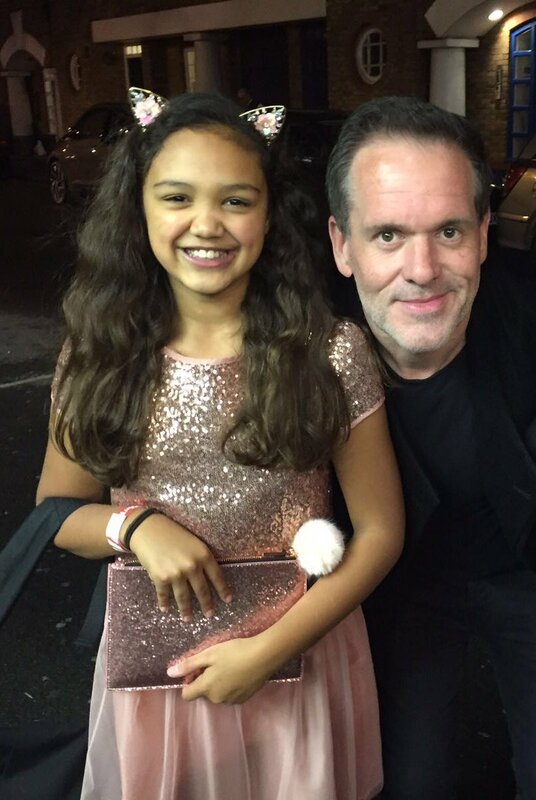 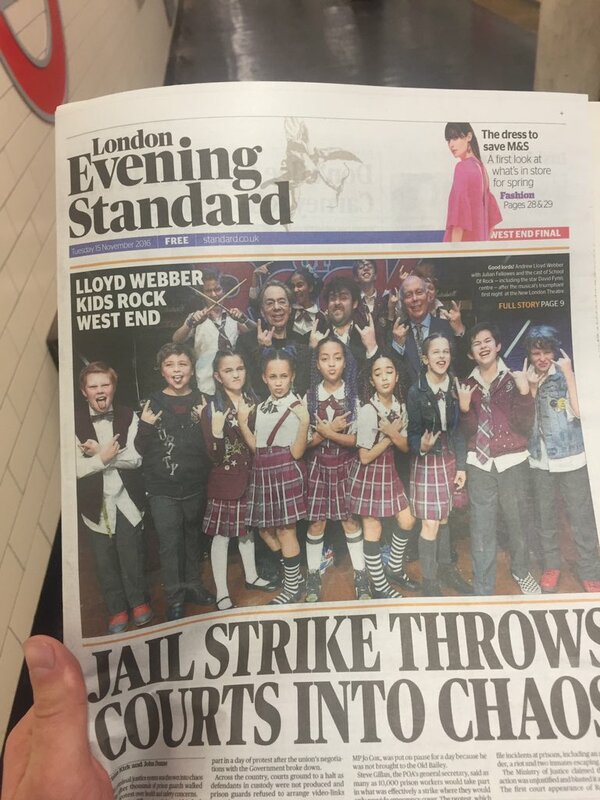 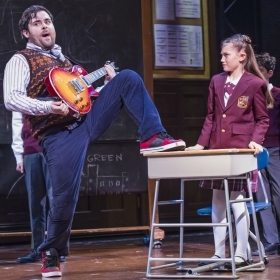 Did SCHOOL OF ROCK create a Twitter buzz on opening night? 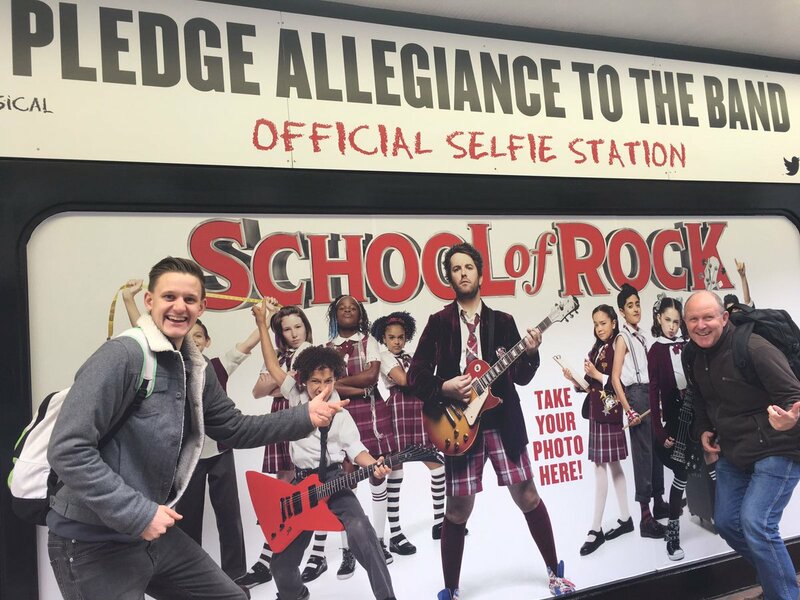 Amazing feelgood, funny show with great music #ImInTheBand #SchoolOfRockUK I hope it Rocks for years to come. 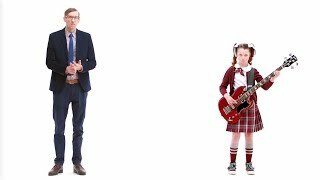 British theatre composer Nick Butcher has released a new video featuring Heathers actress Rebecca Lock singing his song ‘Alive’. 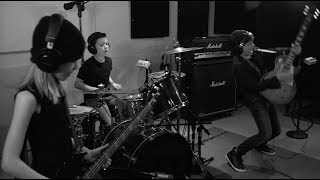 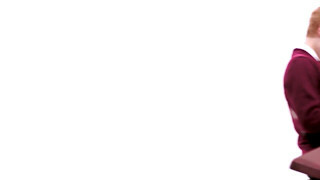 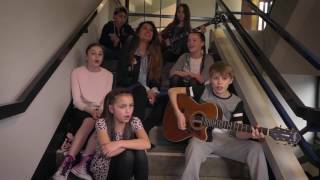 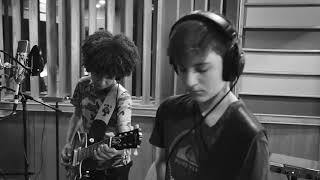 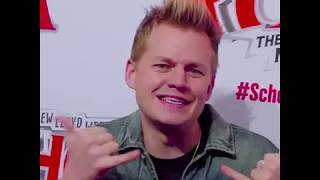 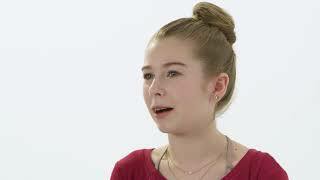 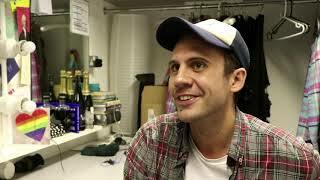 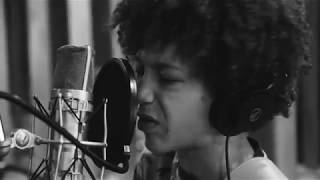 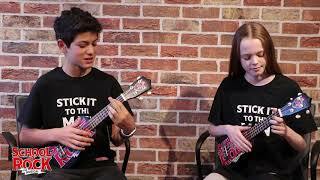 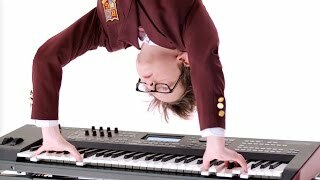 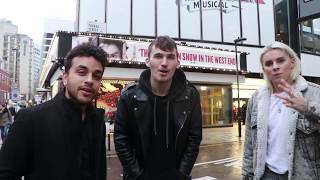 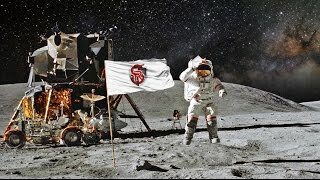 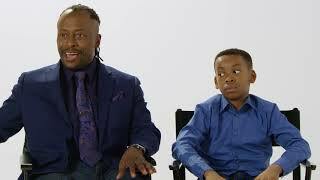 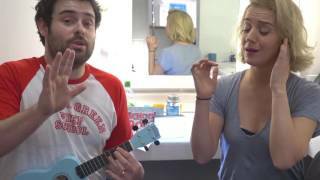 The original song is the third video in Nick’s YouTube series, featuring stars of the West End. 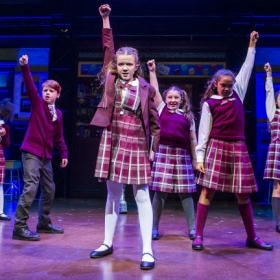 The song encourages us “to dare and be brave” so have a listen! 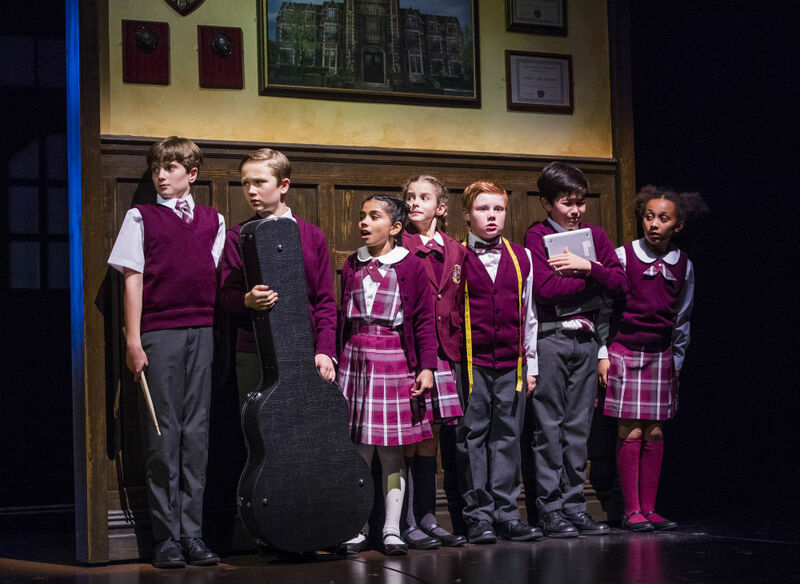 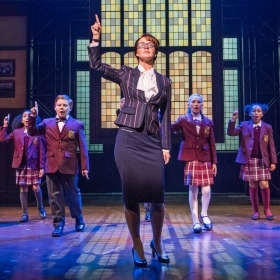 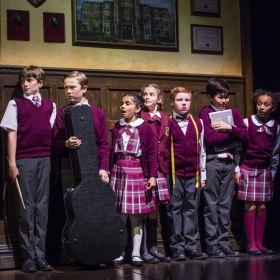 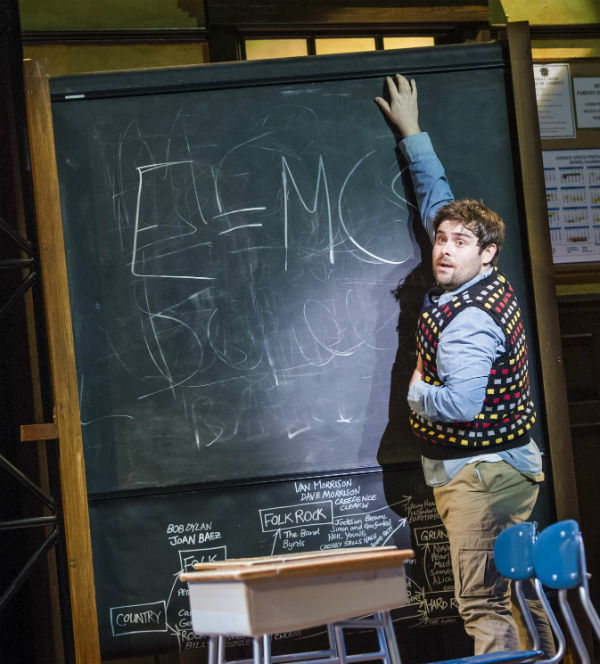 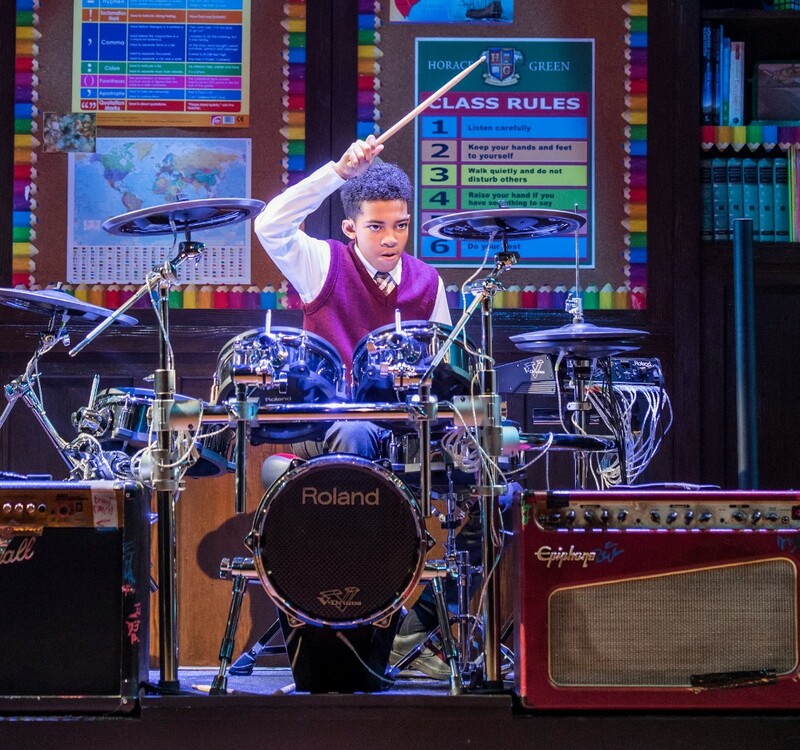 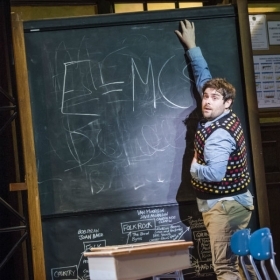 As a further 350,000 tickets are released for the West End production of Andrew Lloyd Webber’s Olivier Award-winning production of School of Rock – The Musical, term begins on 22 August 2018 for a new cast at the Gillian Lynne Theatre.